Developers use cutting-edge technology to restore Ralph Walker crown. When JDS Development Group and Property Markets Group purchased the 1927 Ralph Walker high-rise in Manhattan’s Hell's Kitchen neighborhood in order to transform it into the Stella Tower condominiums, they realized that something was not quite right about the roofline. "The building had a very odd, plain parapet of mismatched brick," recalled JDS founder Michael Stern. "We were curious about why it had this funny detail that didn't belong to the building." The developers tracked down old photographs of the property and were pleasantly surprised by what they saw: an intricate Art Deco thin dome crown. "We were very intrigued by putting the glory back on top of the building," said Stern. They proceeded to do just that, deploying a combination of archival research and modern-day technology to recreate a remarkable early-twentieth-century ornament. The developers, who had previously worked together on 111 West 57th Street and Walker Tower, another Ralph Walker renovation, began with what Stern calls "archeology" or "surgical demolition" of the crown area. The excavation revealed that the entire base of the crown remained behind the bricks added by Verizon, the building's previous owner. 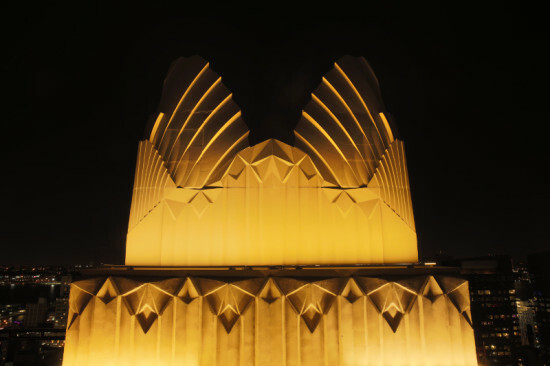 They also tracked down original drawings of the building, which showed the shape of the crown and some of its dimensions. "We didn't have shop drawings—we didn't have a road map," said Stern. "My team had to basically reverse engineer the crown using the drawings as a guide." They also leaned on 3D scans of the base to fill in the missing dimensions, and constructed a 3D model of the crown in SolidWorks. The SolidWorks model helped the developers answer important questions, like how many new pieces should be cast, how they would be installed, and what support would be required. JDS Construction, who led the reconstruction effort working with CetraRuddy architects, called on Corinthian Cast Stone to fabricate the new pieces. Corinthian cast a total of 48 pieces for the upper half of the crown in colored concrete. To support the new work, JDS designed a complex steel structure for the inside of the crown. They assembled the entire structure offsite before disassembling it and lifting it to the top of Stella Tower using a custom pulley and lever system. Eight craftsmen installed the precast pieces one at a time over the course of approximately five weeks. Each precast piece was clipped to the steel structure, then mortared to its mates. The design and fabrication process, which began with the decision three years ago to reproduce the crown, culminated this September. "The crown is so spectacular," said Stern. "It's better than the invention of the wheel." 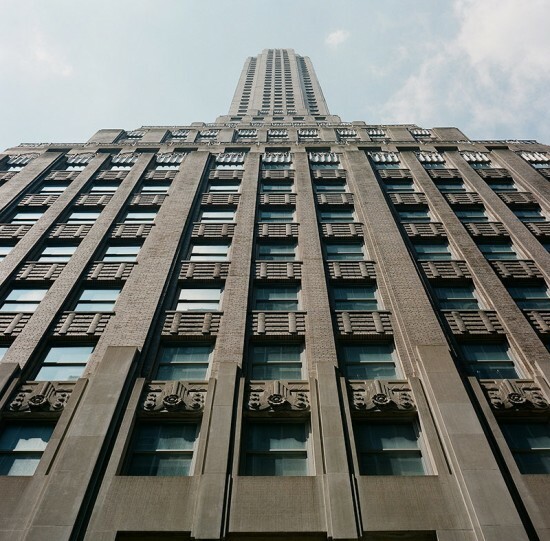 Besides his pride in the crown in and of itself, Stern sees the Stella Tower project as a chance to restore Ralph Walker's place in the architectural canon. In addition to recreating the crown, JDS and Property Markets Group recast every piece of cast stone and replaced every window and every mismatched brick on the building's exterior. "We've fixed some of the wrongs history has done to the building," he noted. "This was a great telecom building by one of the fathers of New York architecture, but over the years his buildings have been lost in the landscape. With Walker Tower and Stella Tower, we're trying to bring attention back to his legacy." 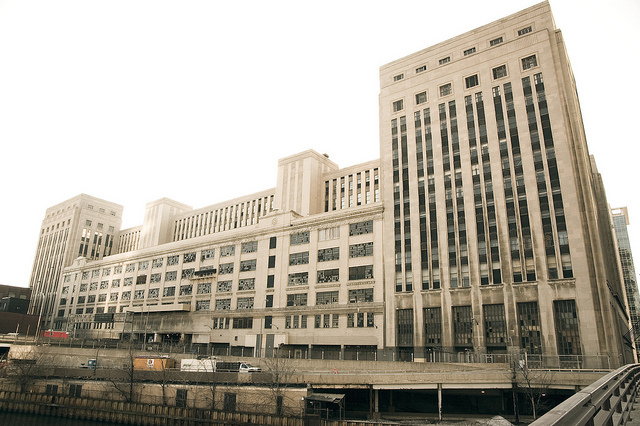 Could that hulking behemoth, Chicago’s Main Post Office, see new life at last? According to the Sun-Times’ David Roeder, developer Bill Davies is betting on it, and he has brought Antunovich Associates to the table. If talk of a downtown casino has any merit, the Post Office could be the right place for it. The massive 1921 building (expanded in 1932) comprises 2.5 million square feet downtown, looming over Congress Parkway. Davies’ fanciful plans for the facility have grabbed headlines since 2009, when the US Postal Service first put it on the auction block. Mayor Rahm Emanuel is still pushing the state legislature for a casino license, touting the potential revenue as a much-needed influx for school construction and repairs. Economic uncertainty has done little to dampen enthusiasm at the Yves Saint Laurent and Pierre Bergé Collection auction at Christie’s in Paris. 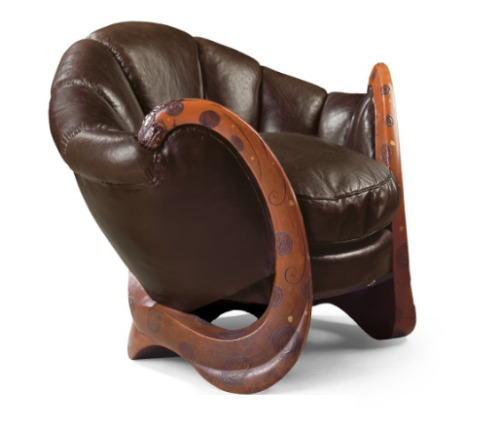 Multiple sales records have been broken, including the highest price for a piece of 20th Century design, Eileen Gray’s Art Deco “dragon chair” from 1917-1919, which fetched $28,341,909, far surpassing the high estimate of $3,833,040. Gray (1878-1976) is best known for her chrome-plated tubular steel side tables from 1927, which are still in production. This version, which goes so well with Corbusier armchairs, is for sale at Design Within Reach for $550. The dragon chair shows how much Gray’s work evolved in less than ten years. And though many modernists renounced the art deco, art moderne and other transitional styles as products of bourgeois decadence, many modern designers began their careers working in these much less dogmatic and highly seductive styles. Another such example from the sale, a pair of curved Honduran mahogany stools designed Pierre Chareau, architect of landmark modernist Maison de Verre, were sold for $44,767. Design history aside, would you sit on a $28 million anything?